Affirmation: I am love. I align my consciousness with gentleness, compassion, and goodwill toward all. I am compassionate and kind. About the stone: Silicon dioxide formed into microcrystalline quartz with synthetic magenta or fuchsia color enhancement. 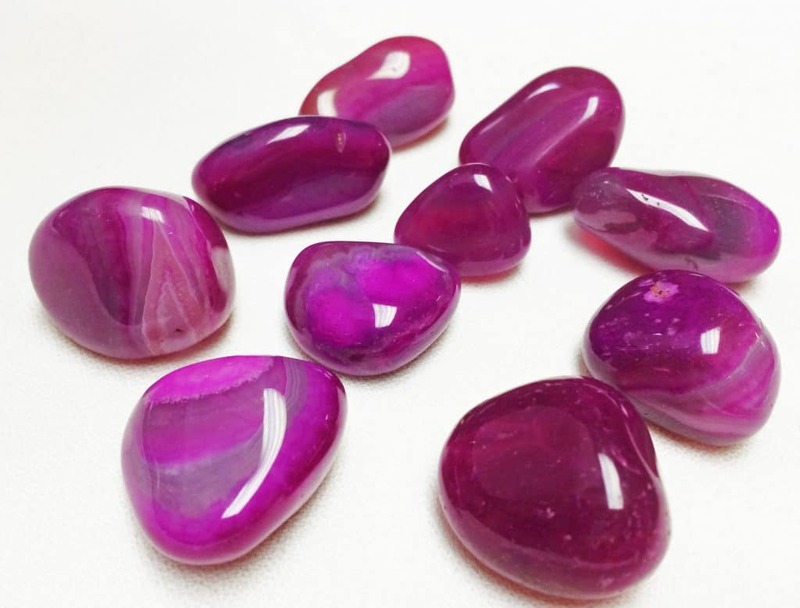 Spiritual uses: Magenta-dyed agate reminds you to be receptive to your intuition and accept the part of you that is able to hold a vision and imagine a better way of life for all beings. Archetypes for this energy are Mother Mary, Kuan Yin, Isis, and Mary Magdalene (the Feminine Christ). 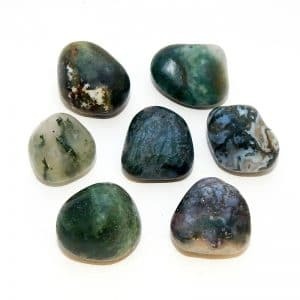 Mental uses: Use Magenta Agate to help you grasp the difference between information, knowledge, and wisdom. Strive for wisdom, and the information and knowledge will always be available. 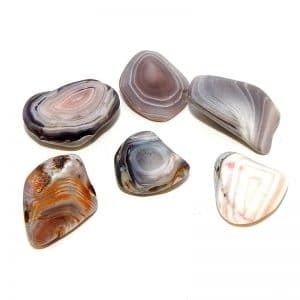 Emotional uses: Magenta-dyed agate can help you to balance your emotions, thereby increasing your emotional maturity. Physical uses: Use magenta-dyed agate to open your heart center to allow love and romantic relationships. Always good to improve friendships.